My long time friend from Argentina requested Turkish food for our dinner date. 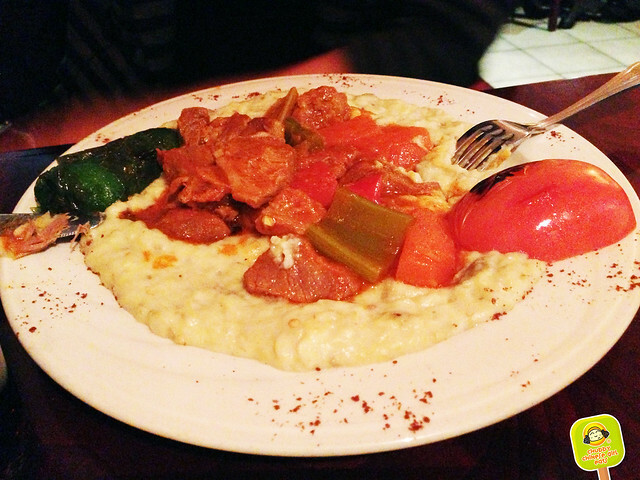 Aside from my visit to Istanbul, I ever really “craved” Turkish when I’m in NYC. This turned out to be a good way to try something new. 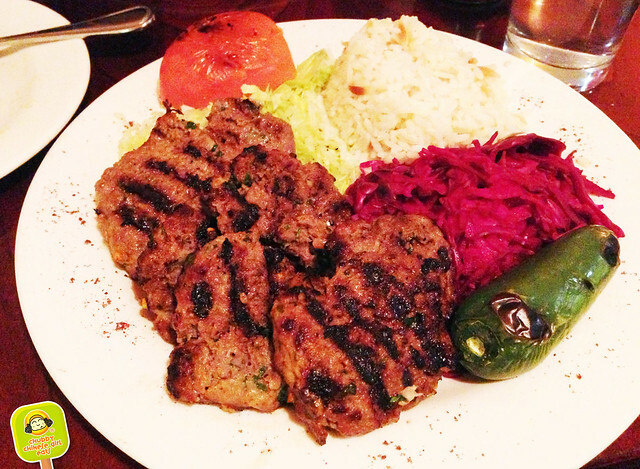 Akdeniz Restaurant had some good reviews and it’s close to work. Didn’t give it much thought. To my surprise, the food was excellent. This could be my new lunch stop. Definitely a good place for a pre-theater meal. It’s not actually in Times Square, but close enough. The Turkish meatballs were solid and rather similar to some of the ones I had on my trip. A really nice char grilled flavor. Smokey with just the right amount of tahini and garlic. A lot of times, I find it too creamy or my breath ends up being a vampire killer. This however was subtle, yet flavorful. The soft bread was chewy and warm. Turkish meatballs were one of my favorite dishes while in Istanbul. Even now, when I transfer at the Istanbul Airport, I make sure there’s enough time to eat. Tender meat that’s grilled, what’s not to love. The deep chard flavors dominate, in the best way possible. I usually don’t eat lamb, but on my trip there, lamb mixed with herbs and grilled was delish! Here, I believe it’s beef with a side of fluffy rice and veggies. Portions are quite generous. I had to save room for dessert (also ate too much bread with the babaghannnous), so I took half to go. The next day, it was just as good. This is a dish I’ll certainly crave for. 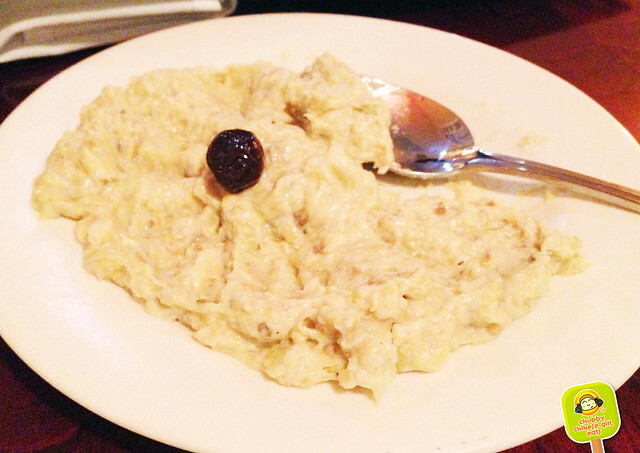 My friend had their version of a classic Ottoman dish. Smoked eggplant with milk and mozzarella, topped with lamb. She enjoyed it but thought it had a pinch too much salt. Other than that, the lamb pieces were tender and that smooth cheesy puree was in her words “delicious”. Made with milk, it’s not as thick as the custard. Light and not too sweet. With lots of chopped almonds and pistachios on top. 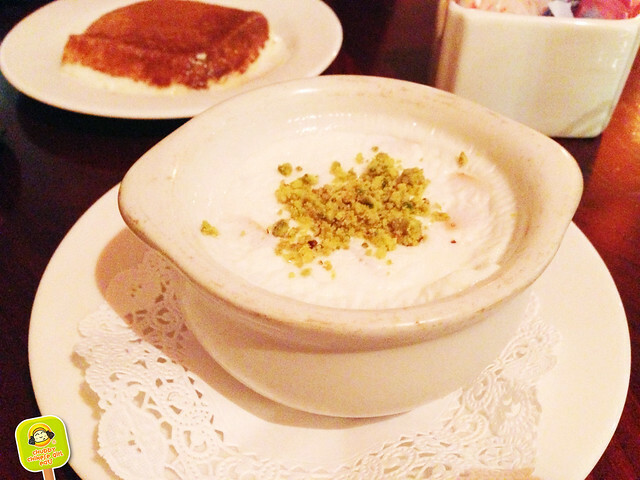 I love the nutty flavors and crunch with the yogurt/panna cotta like texture. I preferred this over the custard. Caramelized milk custard. Had a thick texture. Creamy and not overly sweet. Good choice as well. Overall, the food was really good at pretty reasonable prices. Portions were generous and service was attentive and friendly. Great spot for lunch or dinner if you are in the midtown area.